Openreach exists to serve multiple providers and with the Fibre First roll-out rapidly approaching a footprint of 1 million premises on its way to 3 million by the end of 2020 it is time for Openreach to consult on how providers would like to migrate customers onto the full fibre network and then eventually how the copper network should be retired. Openreach, the UK’s digital network business, today launched a consultation for the country’s leading broadband and telephone providers to help it upgrade consumers and businesses throughout the country onto next generation ‘full fibre’ broadband connections. The company is seeking views from its wholesale Communications Provider (CP) customers (businesses such as BT, TalkTalk and Sky) on how best to upgrade their retail customers throughout the UK from copper connections onto faster, more reliable Fibre-to-the-Premises (FTTP) technology, which it is building throughout the country. I think this is a good step forward. I think OR needs to be a lot more pro-active when it comes to full fibre. I know there is an issue when it comes to other ISP's using their copper network for their products, particularly ADSL devices in exchanges. But it can't be used as a reason to stop progress. I noticed in the first link the author wrote the line "As usual there are some big roadblocks here in terms of both regulation and competition. For example, FTTP is a more expensive service and not all customers will be happy about being forced to pay extra for something that they might not need.". I don't see why it as to be more expensive. Maybe it is expensive from the viewpoint of losing money from the copper line as well as paying out money from putting in fibre. But that shouldn't be passed on to the customer. If CityFibre can put in fibre lines at the fraction of the cost OR do (because they haven't a legecy copper network) then OR need to figure out how to counter balance any immediate financial barrier, because in the long run it will pay off with less physical maintenance. I think for OR one of the biggest issues is the changing focus of its workforce. It'll be steeped in tradition as its been working a similar way on copper for a long time. So a life without copper would be a personal ending of an era for them, more so than for companies like CityFibre, Gigaclear, Hypertonic etc. When they say more expensive they mean you can't buy a service supplied by FTTP which is as cheap as ADSL, but this would be very easy to sort out. They'd just need to introduce a low speed option for the same price as they sell ADSL. Fourthly, the proposed plan seems to involve Openreach offering a revised “anchor” service at the 40Mbps (10Mbps upload) level for FTTP, which could be used to entice customers off slower copper ADSL2+ broadband lines. This product could be at a regulated price (like the same tier on FTTC today), albeit probably with a “small premium” over slower alternatives to reflect the greater value of FTTP. Its hard to get shareholders to see the big picture, they just want their money back ASAP and no doubt see a cheaper product as a barrier to that rather than the stepping stone it actually should be. Personally I think a pure fibre rollout could dramatically simplify selling broadband, as an ISP could brand each tier based on usage scenarios. Have a large household who all want to stream Netflix, buy x product. Want your games to download as fast as possible, buy product y. Plus the ability to switch between tiers without the hassle of regrades. Like you said, if they want to turn off the copper anyway then porting people over for no cost, even if they only have a telephone line, should be a no-brainer. But if there's no profit in it, its a hard sell. If they don't provide a phone only service that will work with people's existing handsets, answering machines etc. I can see this dragging out in the same way as the attempt to push us all over to DAB radio. Why are people clinging onto landlines tho? I know someone will reply because some of us have no indoor mobile coverage, the solution for that is simply for ofcom to impose a legislation that requires all mobile providers to provide coverage to reasonably populated areas that works indoors, problem solved. If they willing to force a landline universal coverage (far more expensive to achieve than wireless) then they should be doing the same on wireless voice. Not to mention there will always be one form of crosstalk or another. Latency and jitter will never be as good on wireless, not to mention security. Terms like “copper switch off” and “full fibre” amuse me. The journalists that use these terms... have they ever considered the Cat 5 cable from wall socket to modem/router? Or the ethernet cable from router to PC, TV, whatever? Its conductors are made of copper. And even if we got rid of copper cables, replacing with fibre.... what about the pcb tracks on the connected appuratus? Yes, still copper. And even if we have optical network computers, with optical interfaces, how will they get their power? You guessed, the National grid and distribution companies, all copper. I think most of us here know what the terms full fibre or copper switch off means, and that is replacing the main network to the home, not what's inside it. I count myself as on full fibre broadband, even though the fibre finishes in a box on an outside wall of my house. I guess digital TV isn't digital as on Sky, DTT and cable it's digital signals modulating analogue carriers. In fact, modern 40Gb and 100Gb Ethernet over fibre aren't digital either - analogue carriers. Actually, fibre links aren't fibre at all - circuit boards and solid state electronics on either side to demodulate the carriers. Even photonic switching will have electronics to demodulate the carriers eventually. 'Full fibre' and 'copper switch off' aren't terms used by journalists, they are terms used by experts and regulators, among others. The term “Full fibre” seems to have sprung up to differentiate, for example, FTTP from FTTC. Both are fairly described as “fibre broadband”, as they use fibre optics, but obviously not the same. And in fairness, FTTP implies more fibre than FTTC, so it is right it is perceived as “better”. But is “more fibre” necessarily “full fibre”? If/when the comes when fibre extends to photonic switching, what would we then call it, maybe “even fuller fibre”? Apols, I’m from an engineering background. In engineering, pedantry usually matters. As long as there’s copper, it ain’t all fibre. 'Full fibre' is a contraction of 'full fibre to the home/premises'. Though of course you knew. 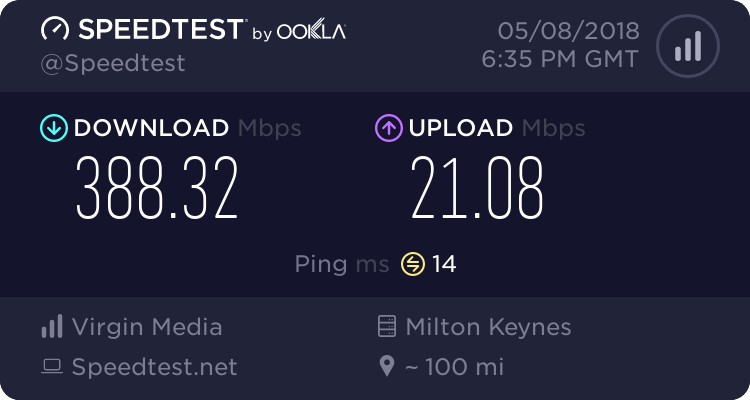 Having an issue with 'full fibre' but contending that 'fibre broadband' is a fair description of both FTTP and FTTC is interesting. I'm also from an engineering background. Regardless there's a pretty big distinction between being pedantic and being assiduous in my experience - hence why 'assiduous' and 'pedantic' aren't synonyms and carry pretty different connotations. Having worked for a large PCB manufacturer for many years I'd love to know what else you would use instead of copper. Fibre to an ONT is full fibre to me. Pedantry aside. It's not required that you use copper Ethernet cables. You could use fibre if you wanted.